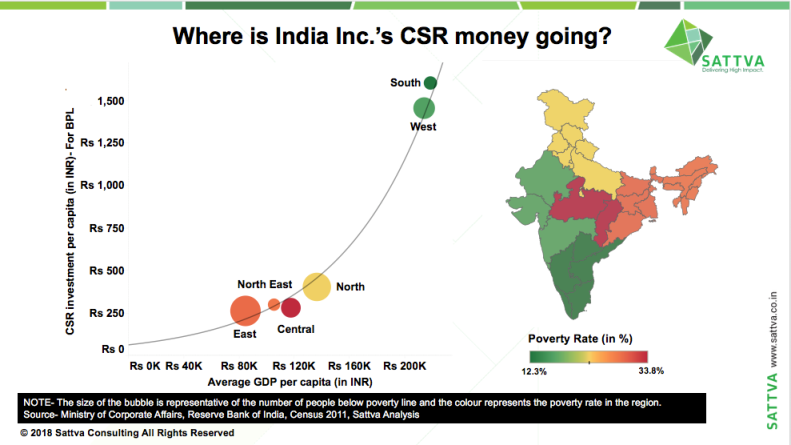 Where is India Inc.’s CSR money going? The underlying rationale for a downward sloping line is that needier regions of India should ideally receive a higher share of funds meant for development, including CSR investment. Communities at disadvantage for various reasons – whether they live in regions with better wealth or not – undoubtedly benefit from every support they get. However, certain regions in India have a larger concentration of these communities and deployment of social investment in these regions could be of great benefit. How do these regional imbalances play out in CSR fund deployment in reality though? 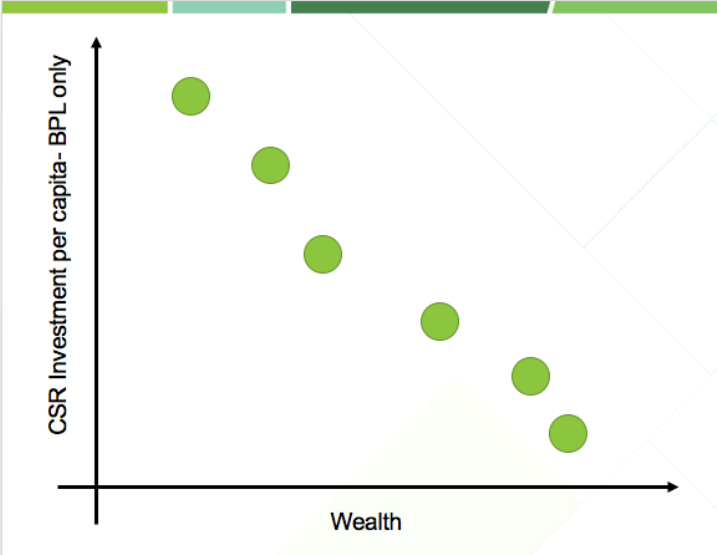 Southern and Western regions receive high CSR investment per capita (for population below poverty line). While the GDP per capita of the Southern region is two and half times the GDP per capita of the Eastern region, the former receives about 6 times the CSR investment on a per capita basis than the latter. How do we influence the CSR funding to be directed towards the regions that need it the most? Stay tuned as we analyse this further taking into consideration the regional concentration of companies and provisions of CSR Law. Meanwhile, please share/like/comment and help more of your network think through this!